Search Engine Optimization is a comprehensive term for a number of strategies, LEAD Internet Marketing targets the ones that are the best for your brand to improve a website’s rankings. We are a Portland SEO digital marketing agency. We boost startups and small businesses online presence. Our wide-range of backgrounds gives us the versatility to forge long-term relationship with you to help you achieve your business objective. Our goal is not just meet your expectations, but exceed them every single time. Every client is unique to us, we take the time to understand your business to create a tailored SEO plan based on your objectives. Our clients always win in the SERPs with our link building campaigns. LEAD Internet Marrketing creates content, design and build your website, optimize it for relevant keywords, build links, amplify your web presence, run PPC campaign and everything else it takes to boost your revenue. We Provide ethical and creative SEO strategies to boost your online business. Our experienced SEO team will strategize with you to get more web traffic and and increase your ROI (Return on Investment). We are your result-based, data-driven marketing ally. Analysis: We research your business and website to understand it thoroughly. Keyword research: Keyword research assists us to structure your content, It helps to understand what the demand for certain keywords are and what chance do you stand in being ranked for those terms in organic search results. Keyword research is not a one-time activity. We are always on the lookout for new valuable keywords. Link building campaign: Link building is important to any SEO campaign. Search engines view your site as having greater authority when high value websites link to yours. Our campaign is not just about building links, it’s finding the right quality and quantity of links. Engage with your audience: We help you build an online community around your business. On-site link analysis: Our goal is to boost your online ranking and visibility. We find new ways to improve content quality by continually analyzing the links on your web pages that connect to unauthentic or expired content. Google Webmaster Tools – SEO services from LEAD INTERNET MARKETING is spotlighting your website on google. Competitor Analysis – We analyze your competitor’s online presence to give you a better edge in ranking, traffic volume and ROI. Local Optimization – LEAD builds local signals for your website, for a 100% score in Google listing. We incentivize your customers to post reviews on your Google business listing. Global Optimization (when needed) – Our SEO agency can help you optimize internationally with our global URL recommendations, on-site and off-site signals, Citation audit and clean-up. Effective content strategy – Our content focused marketing campaigns attract, nurture and convert customers. We use innovative content and distribution strategies for our growth hacking service. Tracking and Reports – We generate reports every month for you to understand what we do and customize our strategy according to them. Tracking your online competitors – SEO optimization service from LEAD INTERNET MARKETING covers tracking your competitors to give you an edge over them. Conversion Rate Optimisation (CRO) – Our focus would be to increase the percentage of visitors to your website to convert them into customers. Risk Management – We perform regular risk assessment and overall monitoring of your website to ensure that your SEO and digital marketing campaign are in sync. Cost Effective compared to Adwords / PPC. Better Brand Credibility, people trust Google. Higher ROI (Return on Investment) than Ads. Your Competitors are doing SEO. Millions of websites, SEO makes you Distinct. 70% of clicks are on First Page of SERPs. Could You Do Your Own SEO? Absolutely. Anyone telling you otherwise is not being honest. Our Free SEO Reports are easy to read and contain tips for you to start increasing your rankings yourself. SEO has many benefits, but it can be expensive at first. 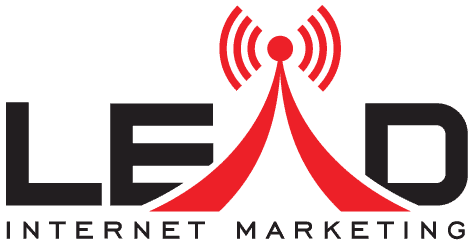 If you’re not ready yet to let LEAD INTERNET MARKETING handle your SEO, then let us consult with you for free to show you what our SEO professionals can do for you. We are a Portland SEO firm serving the Greater Portland Metro Area.